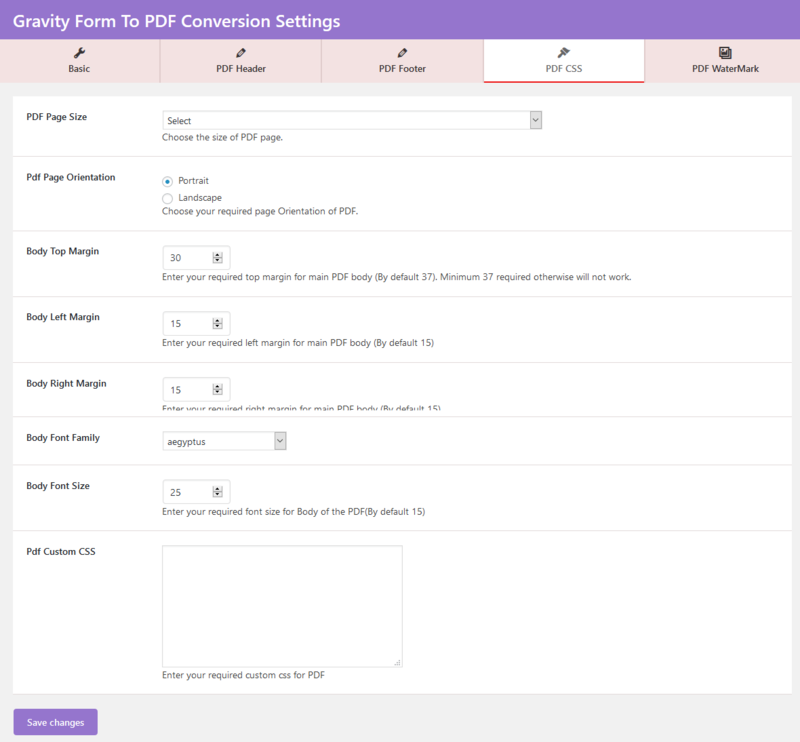 WordPress Gravity Forms to PDF plugin facilitate the admin to convert Gravity Forms feed into pdf according to their need, this pdf can be downloaded or directly sent to the user email or the admin can do both at the same time. Admin can also change the pdf format as required. This plugin provides facility to the admin to secure their pdf with password so nobody can access it without their permission. 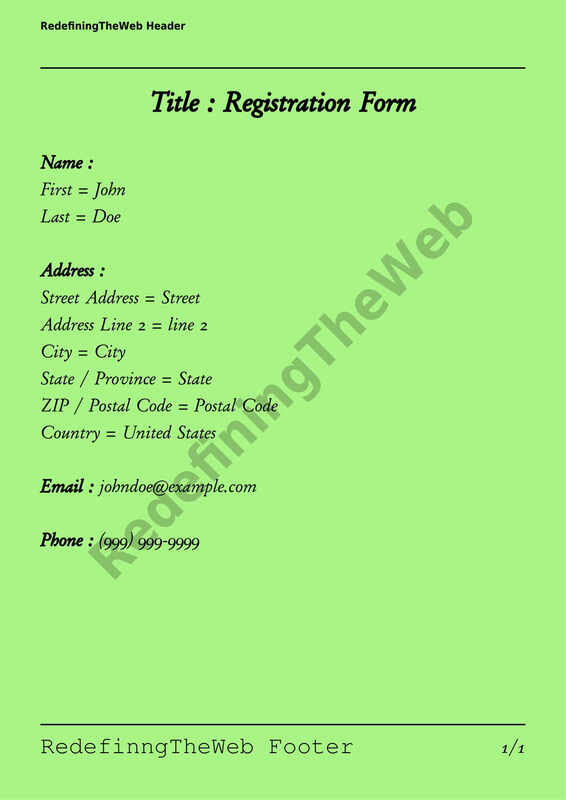 From entries page of gravity forms admin can create all entries PDF at once. Disable copy paste setting for text fields of gravity form. Disabling copy paste will provide functionality to the admin to restrict other user from copying text from the field or to paste copied text to the field. 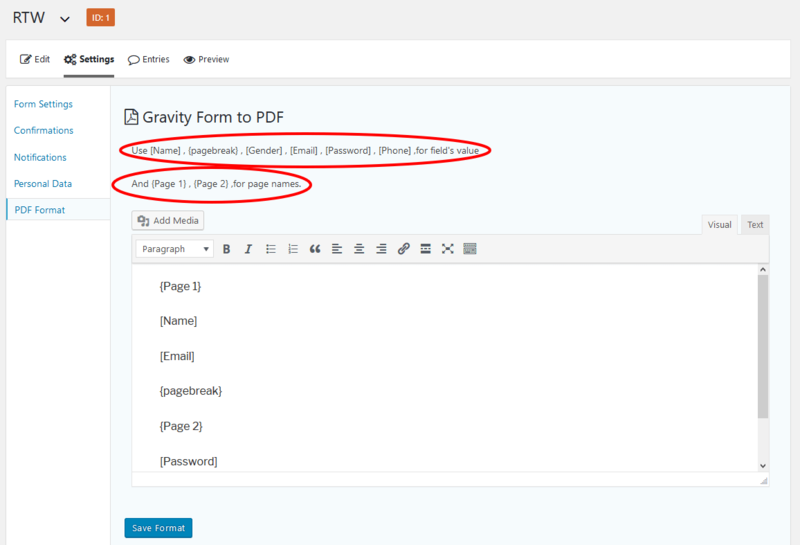 From the entries page of gravity forms admin can access the previously created pdf. Design PDF header through WP Editor. 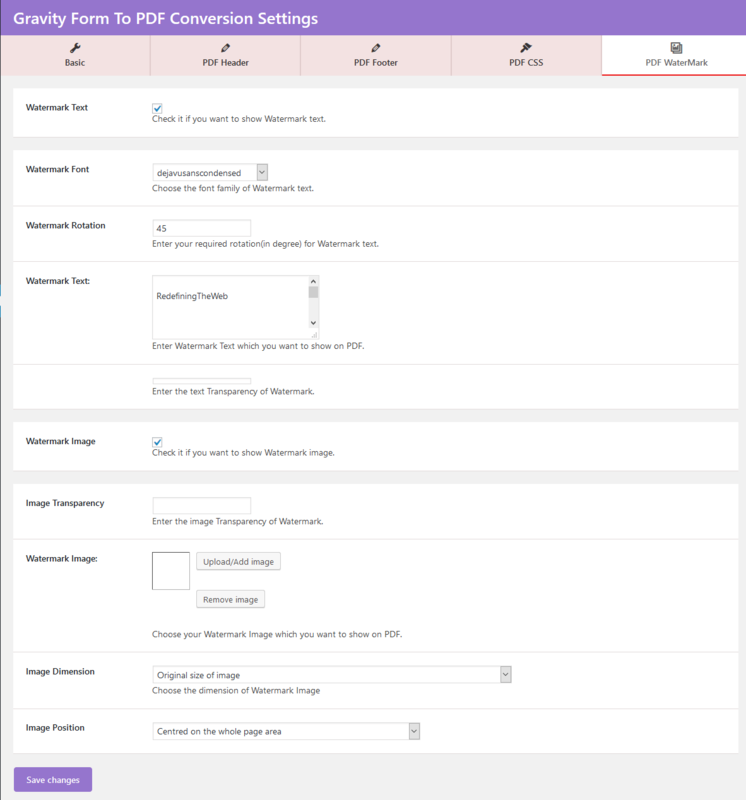 Admin can change header content, CSS, fonts, font size and provides margin too. 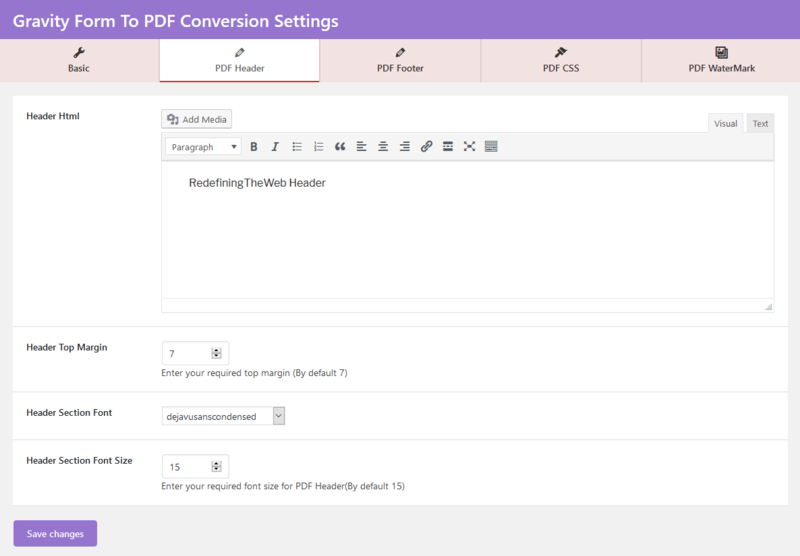 Design PDF footer through WP Editor. 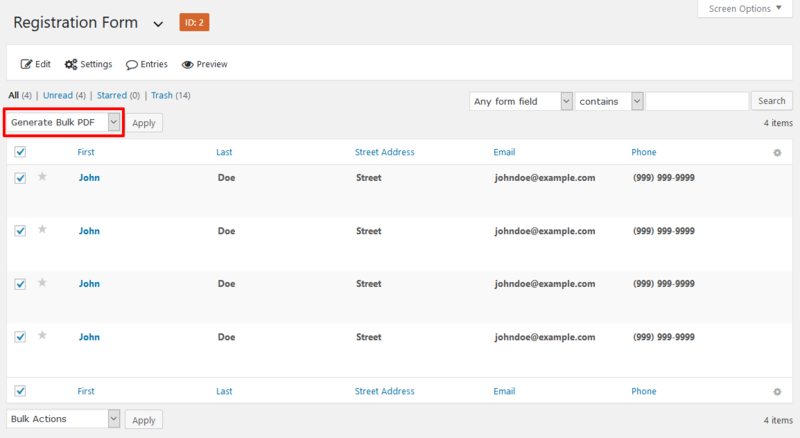 Admin can change footer content, CSS, fonts, font size and provides margin too. 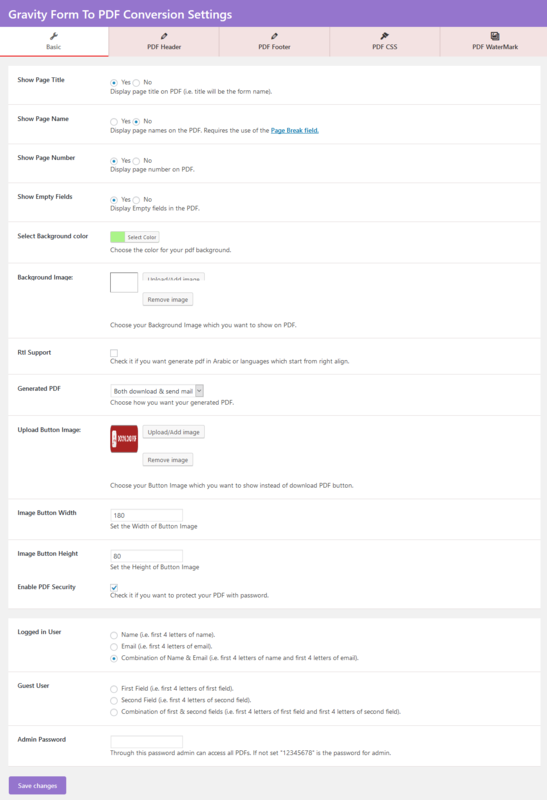 Design whole body of PDF with the use of WP Editor. 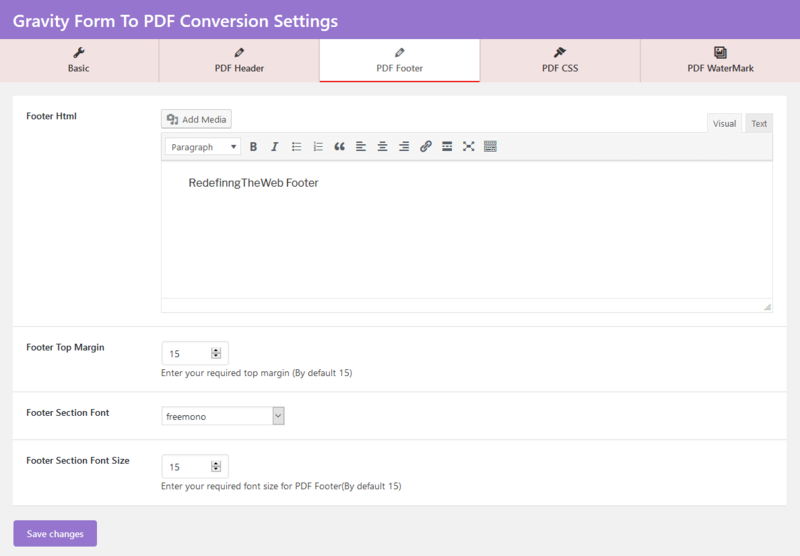 Add or remove fields in the editor as you want in your PDF. This functionality makes the PDF look better. You can add watermark image or watermark text and change its opacity accordingly. Image dimension can also be set using the setting. Position your watermark image where you want in your PDF. User can add image or color in the PDF background. It support Arabic or languages which start from right align. Select among 40 fonts write your own CSS for header, footer and body. Admin can change PDF download button with any image which he wants. 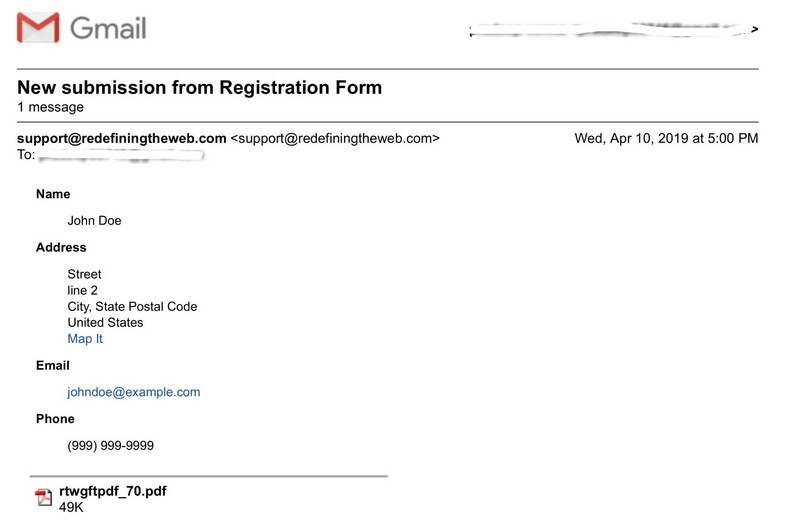 User can either download or send attachment with mail the generated PDF or do both. Get the fields which you want in your PDF. Empty field can be ignored using the setting. Select among 266 page sizes for the PDF pages. Select among Portrait and Landscape mode for the page orientation. Display page names on the PDF. Requires the use of the Page Break Field which is in the gravity forms standard fields. This plugin is not subjected to GDPR compliant as it does not store any sensitive data of a user. It only holds information related to software which is run by WordPress of the holder. Thank-you for your interest in Gravity Form to PDF, RedefiningTheWeb.